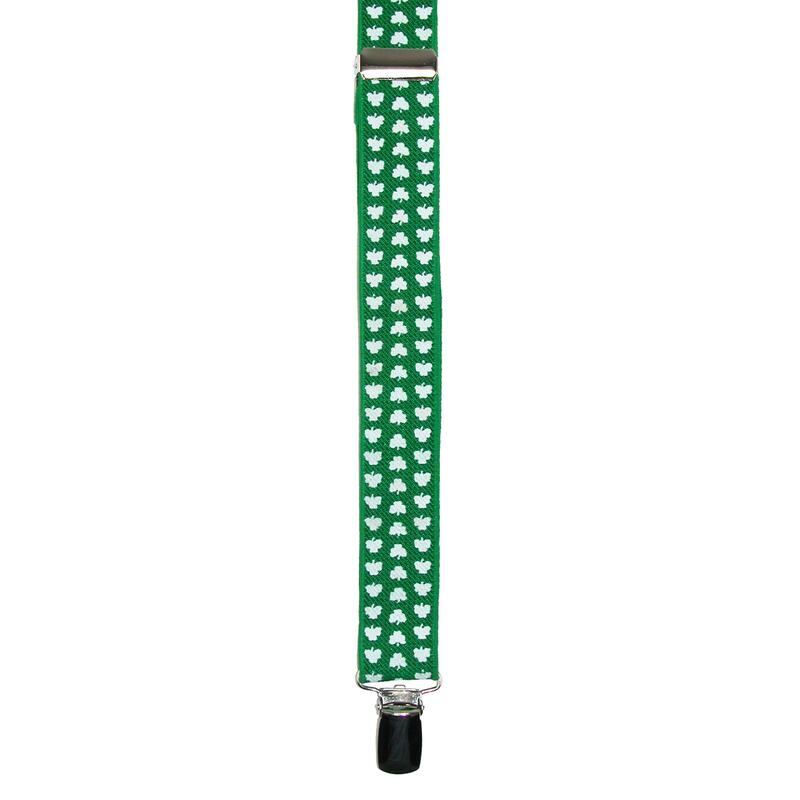 Parquet Elastic Novelty Shamrock Print Suspenders. These suspenders are perfect to wear with your holiday St. Patrick's Day attire. They easily fasten to your waistband and provide a secure and comfortable fit all day long.